It’s quite possible the lyrics are about reaching for the sky. UW-Eau Claire’s annual celebration of song and dance is returning for its 39th year. “Cabaret: Unboxed” will feature UW-Eau Claire’s Concert Choir, The Singing Statesmen, Women’s Concert Chorale, University Symphony Orchestra and jazz ensembles, as well as various small acts and solo performers. 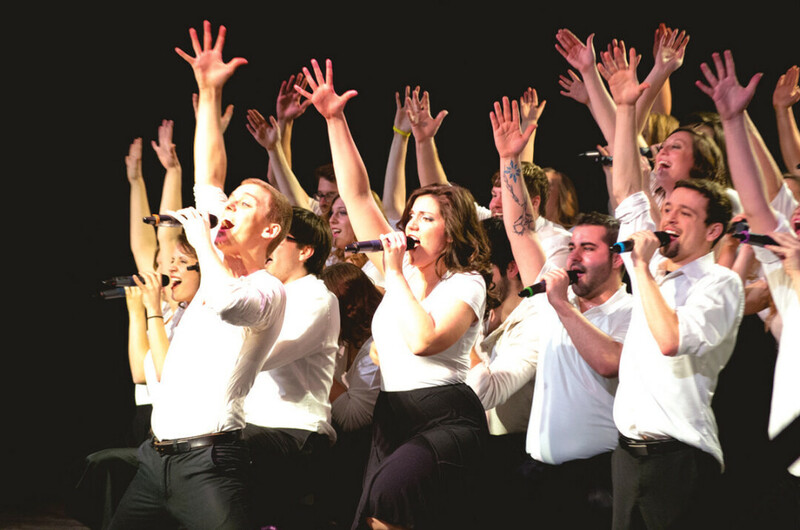 Ensembles will perform a variety of songs that are associated with the theme “Unboxed.” Cabaret has been an annual institution in the university’s venerable music department and supports ongoing scholarships for music students at UW-Eau Claire. The show is also a hands-on learning experience for music and theater arts students. It provides students with an opportunity to practice arranging and staging a variety show similar to what they might encounter in a professional career. A dinner buffet and cash bar will be offered before the Friday and Saturday evening performances in the Dulany Inn of Davies Center. Show-only ticketholders can take advantage of the a la carte deli and dessert, which will be available one hour prior to all shows and at intermission. The cash bar will be available before the show and at intermission on Friday and Saturday only. Right out of the box, Cabaret will be a tasty treat.